The one pound coin is set to be overhauled and the new coin will be in circulation by 2017. 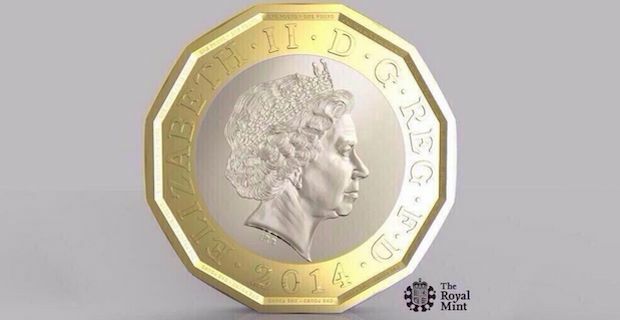 In a bid to tackle rising forgery, the Royal Mint and Treasury have announced plans to introduce a state of the art coin said to be as secure as a bank note. The new coin will have 12 sides in an homage to the old 3 penny piece. It will also be comprised of 2 metals similar to the £2 coin and the Royal Mint have claimed that it will be the most secure coin in the world. The Treasury estimates that there are up to 45 million fake £1 coins currently in circulation in the UK. This represents approximately 3% of all pound coins and this is the main reason for the upgrade. Just what you will be able to buy with the new pound coin in 2017 is another matter but the trendy new design is getting a good reaction from the public at this early stage. The public will very much have a part to play in the design too as they will be asked to decide on an image for the coin.